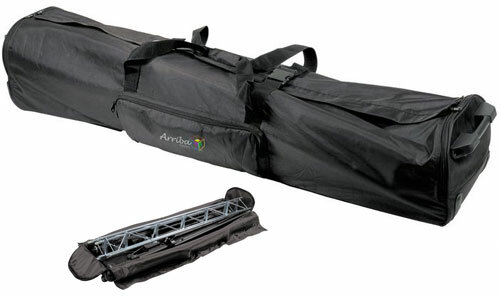 The AC180-123DLX also has wheels and pull handles to make it easier to transport and store your trussing system. It also has a secure view window to make it easy to identify specific fixtures even after they've been packed, or place your business card in the window for personal identification. The extra-wide mouth design allows lighting equipment to be removed quickly and easily.